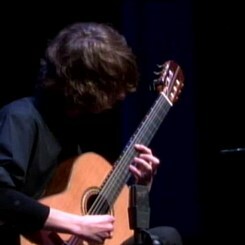 Jacob Kelsey has been studying electric, acoustic, and classical guitar for 15 years and recently graduated with a bachelors in performance from Cleveland Institute of Music under the instruction of Jason Vieaux. Jacob has competed and placed in numerous competitions including Beatty, Aguado, ECU, and Salisbury and performed in masterclasses with Carlos Perez, Andrew Zohn and Xuefei Yang. Jacob is open to teaching all styles of guitar to ages 5 and up. Request Lessons with Jacob today!